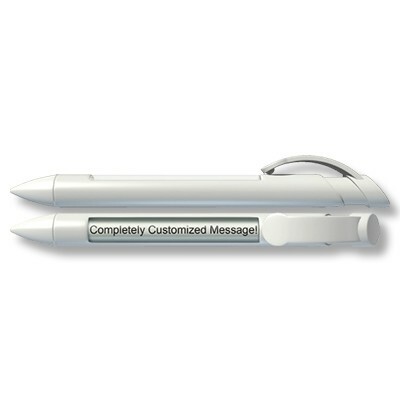 Quick Info: Message Pen. 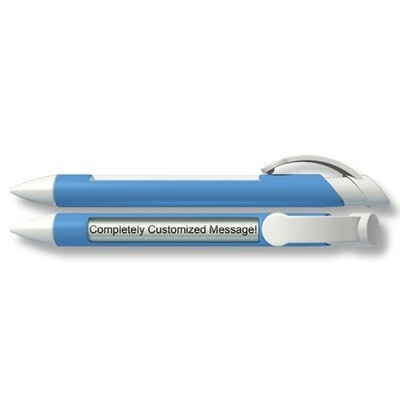 Custom Pen. 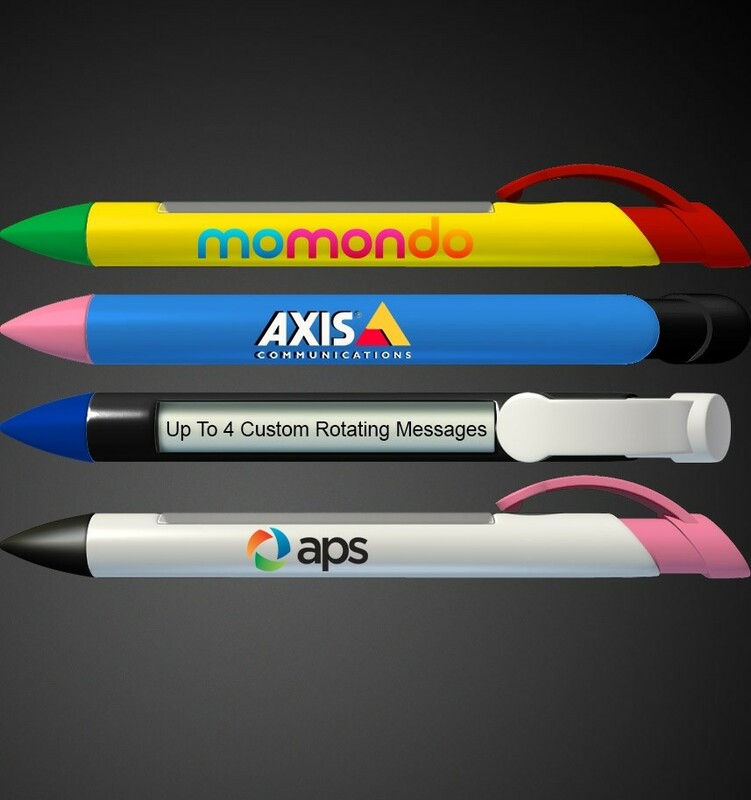 4 Window messaging and company branding! 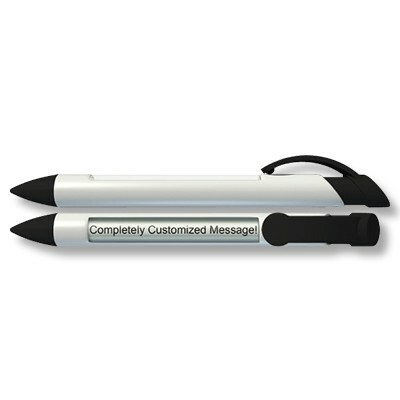 Advertising your brand, logo, and message couldn't be simpler with our unique Custom Greeting Pen. Add up to 4 lines of rotating text in the barrel. Add your logo to the clip or the barrel for an added promotional touch. 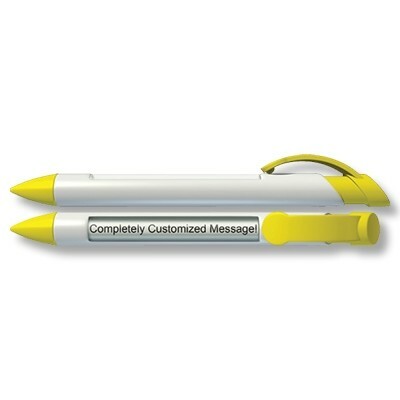 These customizable pens are perfect for any trade show giveaway or event where you want to get your brand across. Writes in black ball point ink. Price as shown includes 4 lines of text in the rotating barrel plus a one color imprint in one location. 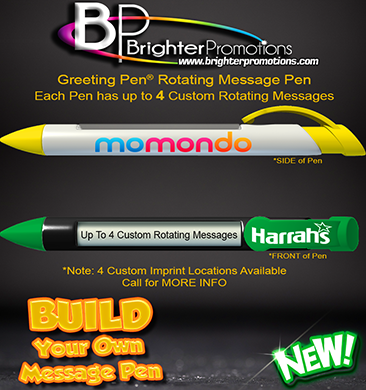 Other imprint locations and full color digital-prints are available. Please inquire. For all imprinting add a Set-up fee of $55 (v). We may offer additional locations and up to 4 spot colors, PMS matches acceptable @ $14 (v) per color with MOQ of 5,000 pieces or more. 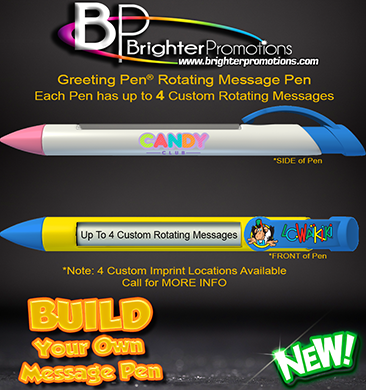 For each additional location and for each additional spot color add a Set-up fee of $55 (v) and a running charge of $.25 (v) per color, per location pad print only. 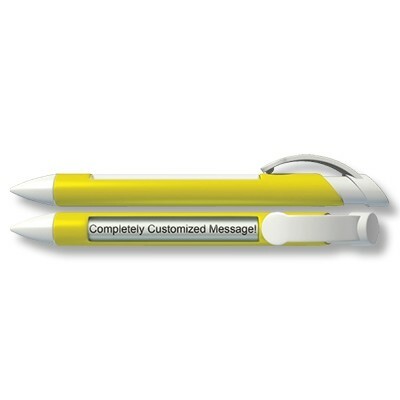 Imprint Minimum is 250 pcs. Repeat set up fees apply. Call for details. Imprint Method: Pad Print and Digi-Print. 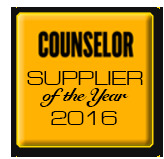 Production Time: 5-10 business days after receipt of artwork and approval.